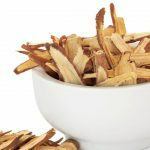 I wasn’t sure how to call this recipe… Do you know those basic recipes you know by heart and can throw together at the last minute with almost anything you have in the fridge? This is one of them. 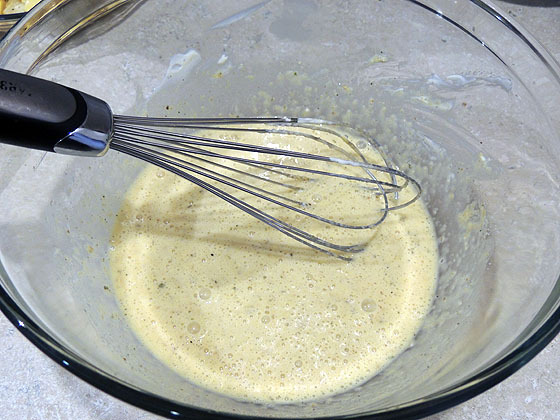 It is a simple batter that you can add whatever veggie you want to. In the past, I used zucchini, corn, broccoli… This time I made it with yellow Summer squash since I have so many of those in my garden. 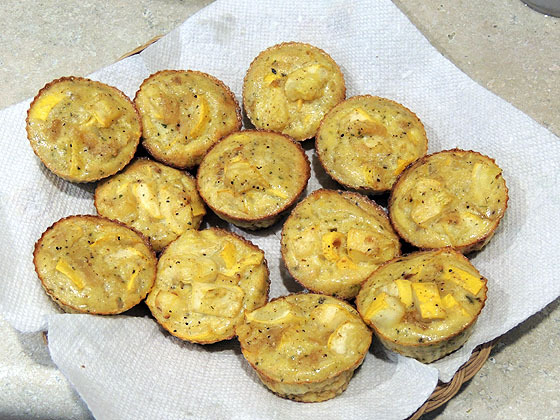 I didn’t know if to call it Summer squash bake, Summer squash muffins, Summer squash souffle, or Summer squash quiche. I guess it’s somewhere in between so I called it Summer squash cups. 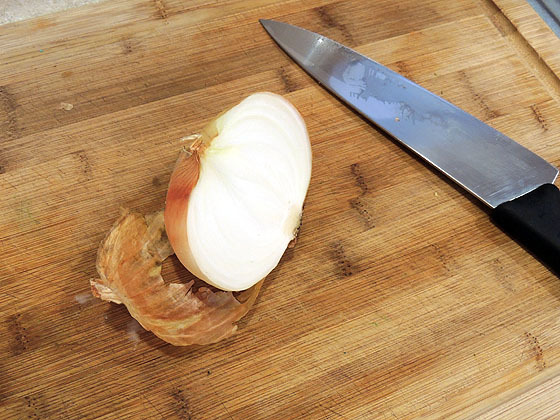 Dice one half of a yellow onion. 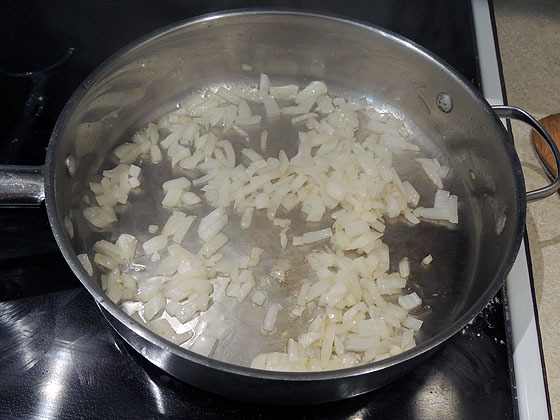 Heat 3 tablespoons of oil in a pan. 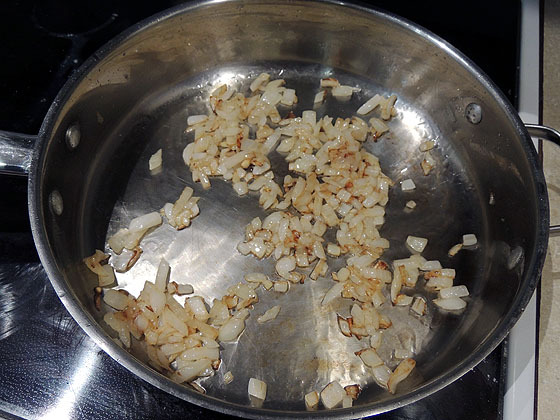 Add the onions to the pan and fry until golden brown, 10 to 15 minutes. Meanwhile, dice 2 medium Summer squashes. Season with salt and pepper, and stir. 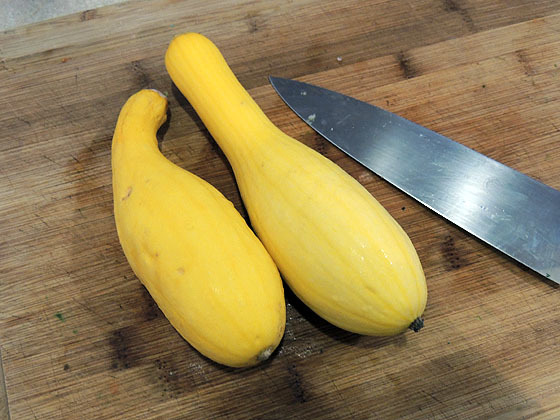 Cook for 5 to 10 minutes, until the squash is soft. Set aside to cool. And one teaspoon of chicken flavor bouillon. 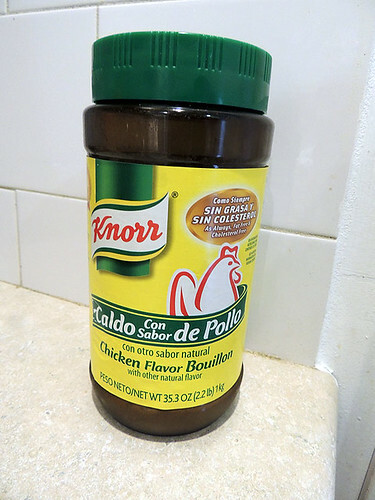 I use the Knorr brand. 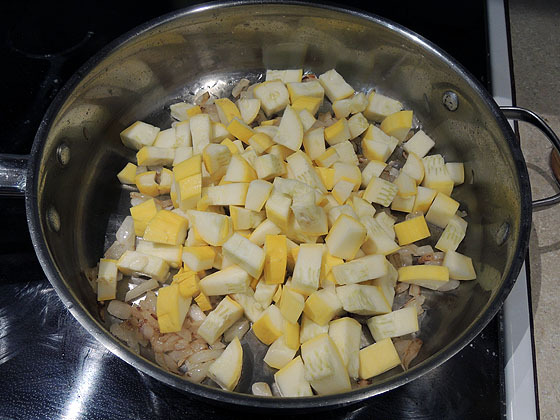 Add the cooked squash and onions, and mix to combine. Line a muffin pan with muffin cups. 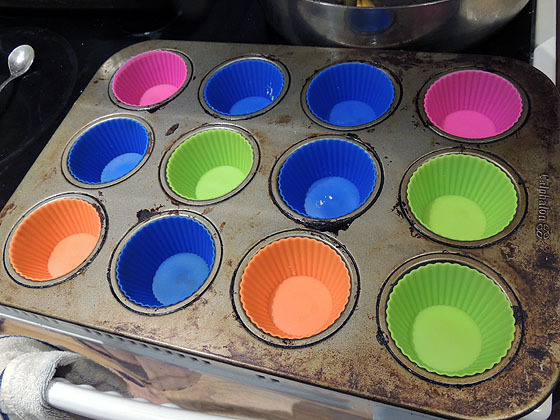 I use these silicone baking cups which I love. 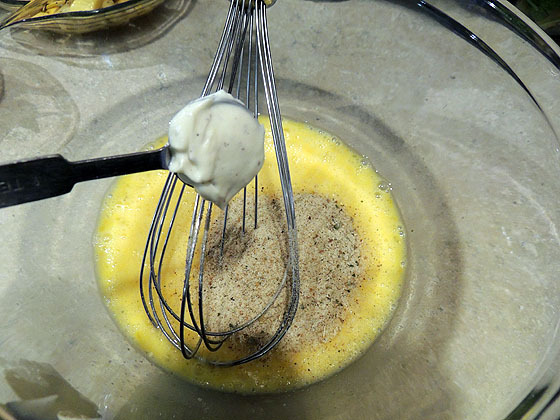 Fill the cups with the mixture and bake on 350F for about 20 minutes. Then, release from the cups and enjoy. You can serve them warm or cold. You can substitute the squash for any other veggie. 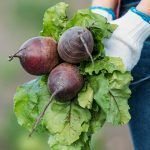 You should use 400g of veggies which is usually something like 2 cups. I made these for Maya’s 4th birthday. I can’t believe she is 4 already…. Time is flying by! We had a great time with friends at the lake this past Saturday. The birthday girl even saved someones beach umbrella. She is a little lady, so responsible and takes care of us all. I predict that in a couple of years she’ll manage this house and make sure we are all fed and clean at all times. I love her to the moon and back a million times. 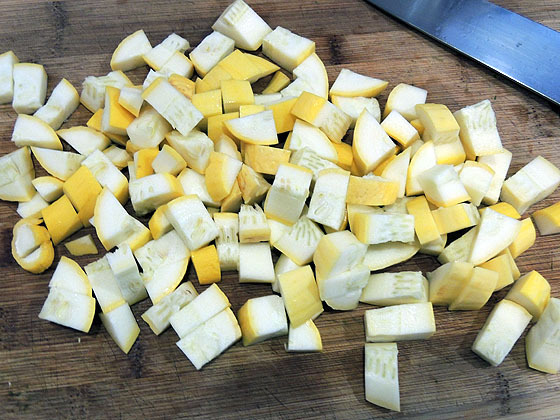 2 medium Summer squashes, diced. 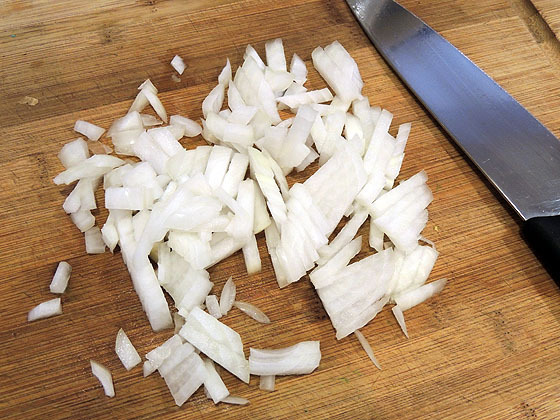 Add onions and fry on medium high heat until golden brown, 10-15 minutes. 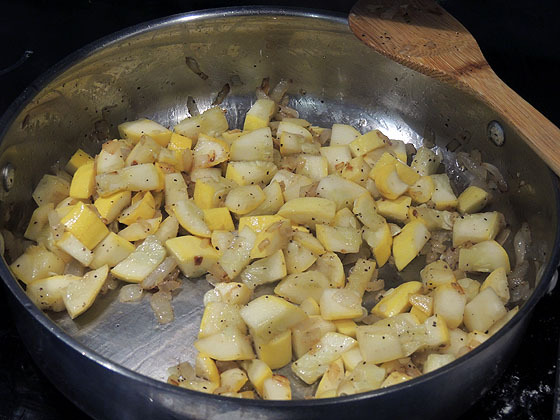 Add squash, season with salt and pepper, and cook for 10 minutes, stirring frequently until the squash is soft. Set aside to cool. 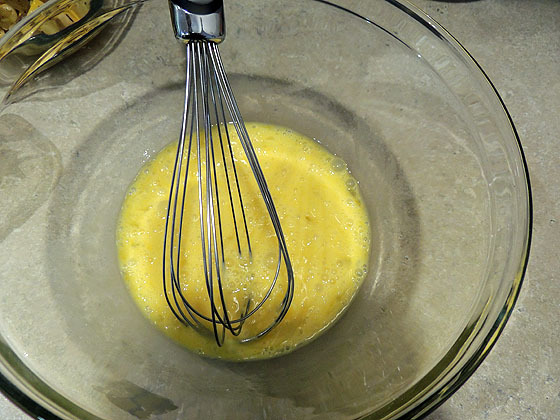 Add 4 eggs to a bowl and whisk. 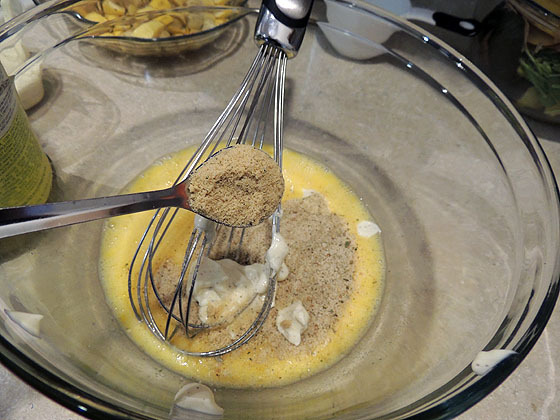 Add the mayo, breadcrumbs and chicken flavor bouillon and whisk well. 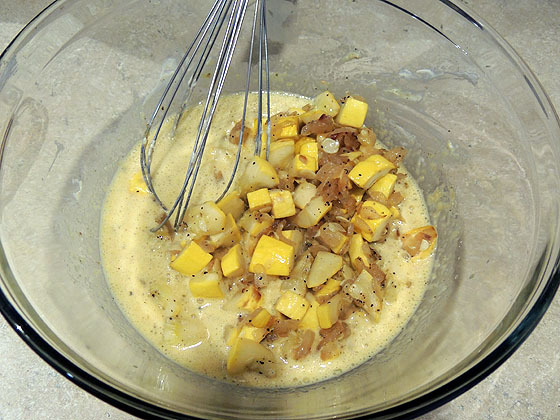 Add the squash and onions and mix. 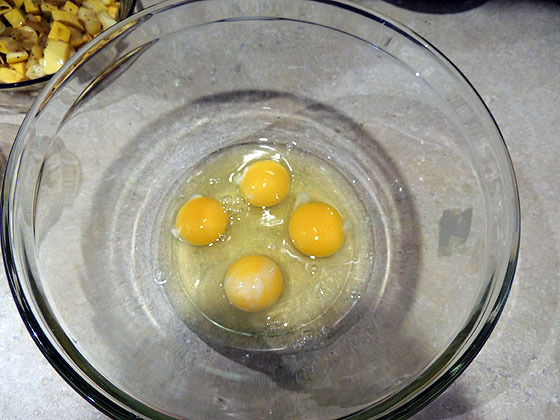 Line a muffin pan with 12 muffin cups. 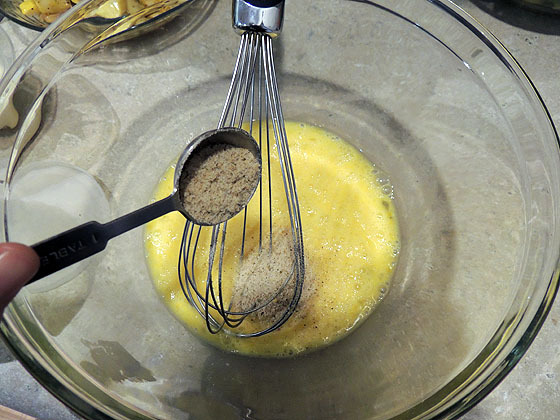 Fill the cups with the mixture and bake on 350F approximately 20 minutes. P.S – Please like my Facebook page so we can stay in touch! 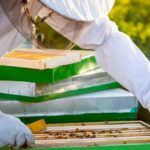 This post is shared with those fabulous web sites. Thanks. Always looking for a new squash recipe. I’ve got about a zillion of ’em!!! This look good.